Riverview Junior High School will be closed on Monday, August 13 from 7:30 AM - 12:00 PM. All school personnel will be participating in district-wide training. 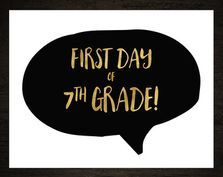 Hello to our new incoming 7th grade students! We’re excited to welcome you to Riverview Junior High School for your first year, and we understand it can be a big transition. We want to make your first day full of fun memories and positive experiences. The link below will provide some frequently asked questions and answers to help the transition. See you on Friday, August 17! Registration for Riverview Junior High School for the 2018-2019 school year for returning students is done online. Returning students are those who completed 7th or 8th grade at Riverview during the 2017-2018 school year. Once your student's online registration is complete and the school fees are paid (payable online or mailed in), your student's schedule will be released through Aspire. If you move out of the district during the summer and your student will not be coming to Riverview Junior High School, please call us at 801-264-7446 or email [email protected] so we can withdraw your student from Riverview. 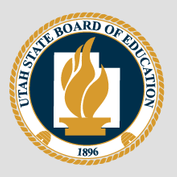 A Utah State Board of Education task force is working to identify barriers that may prevent educational excellence in public schools. This survey includes questions about your satisfaction with Utah schools and why you feel the way you do. It is anonymous and only takes a few minutes. Please take a moment to make sure your opinion is recorded and then share this link with your Utah neighbors, friends, and colleagues. The bottom line: If a student wants to watch the series, we tell them to watch it with a parent. We are also telling parents to watch it with their child due to the graphic content, language and storyline glamorizing suicide. If a student has already watched the series, we recommend the parent review the Talking Points with them. Attention Amazon shoppers! Did you know that there is a way to give back to our PTSA when you shop on Amazon? AmazonSmile is a program where Amazon donates 0.5% of the purchase price of eligible products to charitable organizations, such as Riverview’s own PTSA. All you need to do is click on the link below and chose our organization, which is PTA Utah Congress Riverview Jr High PTSA. Then just shop as you normally do on Amazon! It’s super easy, and a great way to give back to our school!